Deer Park Clock 16" Ht. Hang your hat, literally, in rustic decor style with Woodland Creek’s Standing Antler Hat & Coat Tree! Subtle cabin decor touches and unique, country decor accessories always make people smile. Why should you be any exception? Get your ear-to-ear grin on by browsing Woodland Creek’s antler decor accessories. Whether you’re searching for a novel way to display hats and coats or are on the hunt for a one-of-a-kind housewarming gift (pssst! – see our paper towel holders), Woodland Creek’s has it! Single, double, two, three, four. If you’re fond of rustic furniture, you’ve gotta know the score! 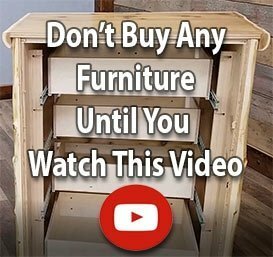 Every stunning log furniture, reclaimed wood furniture or country furniture home, cabin, cottage or lodge has one big thing in common: Repetition. Multiples of rustic decorating items – like our single and double antler wall shelves – help unify otherwise different patterns, textures and hues.